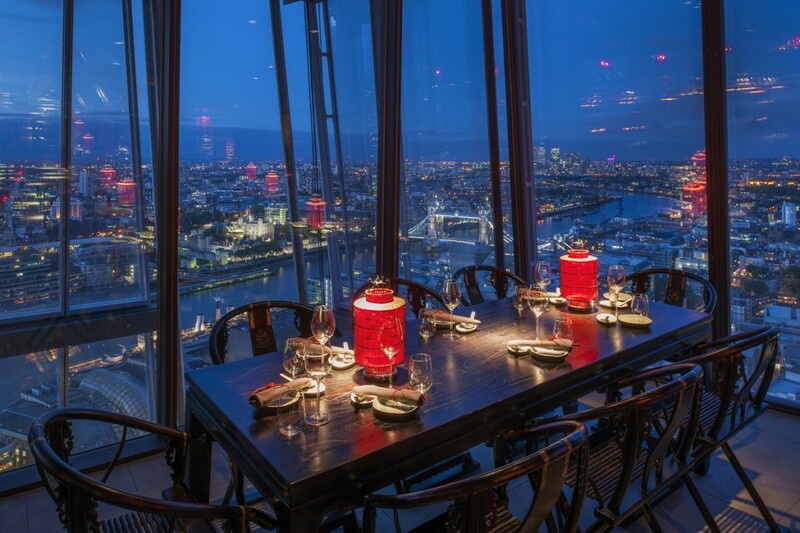 Restaurateur David Yeo – also restaurant operator of Aqua at The Shard – elected to establish a sister to the Hong Kong Hutong restaurant at level 33 of The Shard. 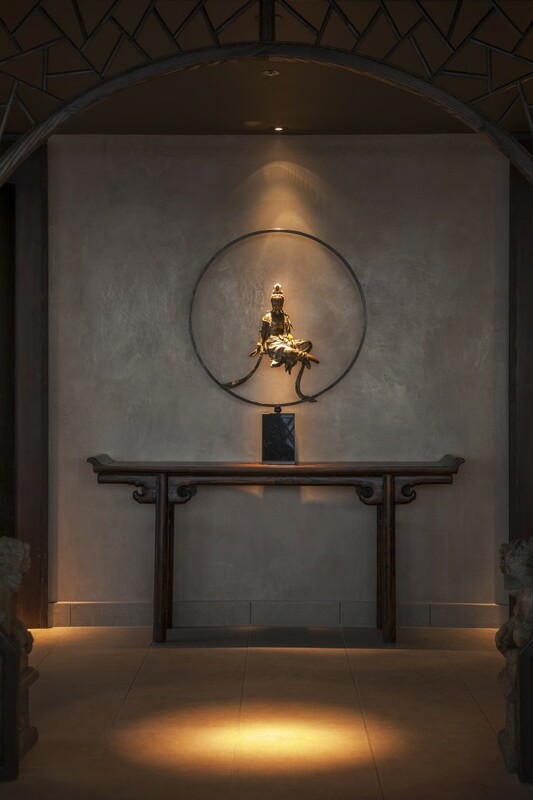 Close collaboration with the client and architects was vital in creating a theatrical and low-glare lighting scheme. 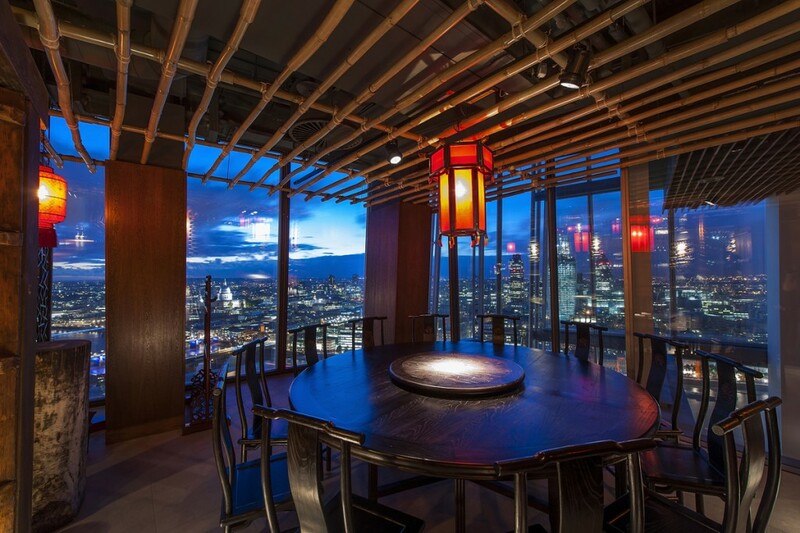 Extensive lighting measurements and on-site mock-ups ensured levels evolved from day to night, and with minimal glare in the floor to ceiling windows. Black trackspots with honeycomb louvres illuminate tables and create focal points of changing textures in wood and stone. 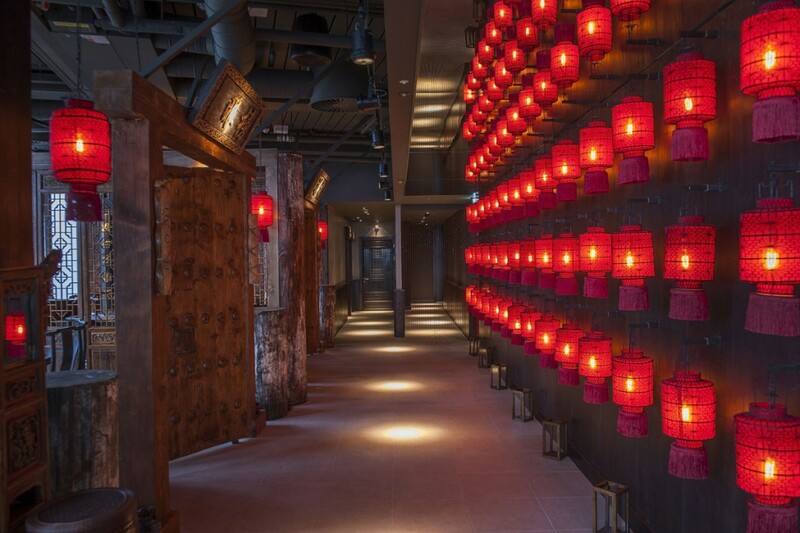 Feature walls lead to each side of the venue – Shanghai and Beijing. 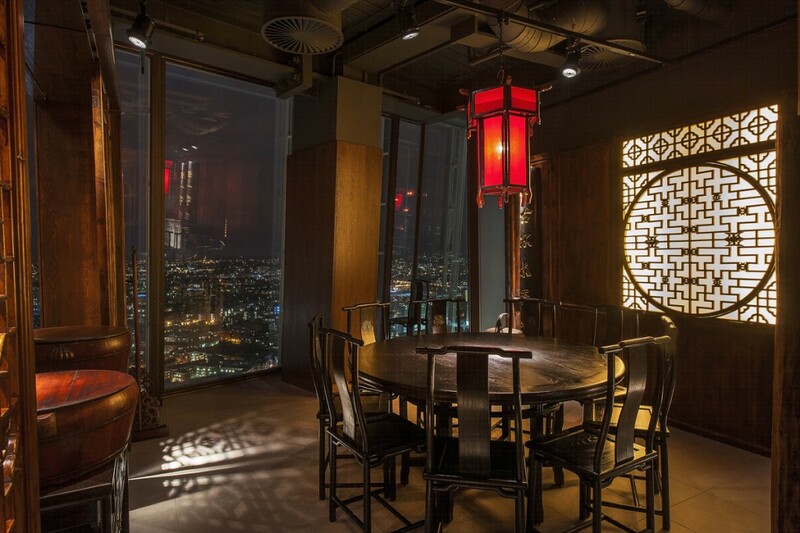 Concealed LED lighting picks out the detail in one, and bespoke red lanterns line the other. 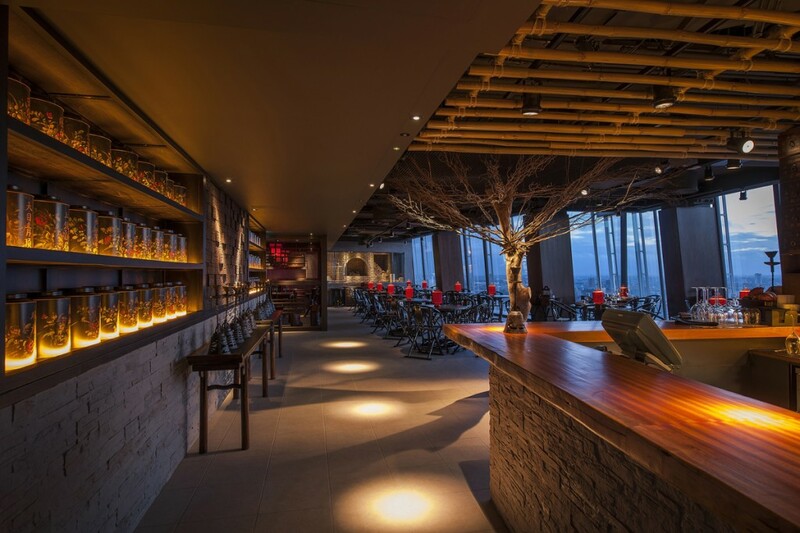 The final lighting concept is the result of a close collaboration between into and the strong design concepts of the client. 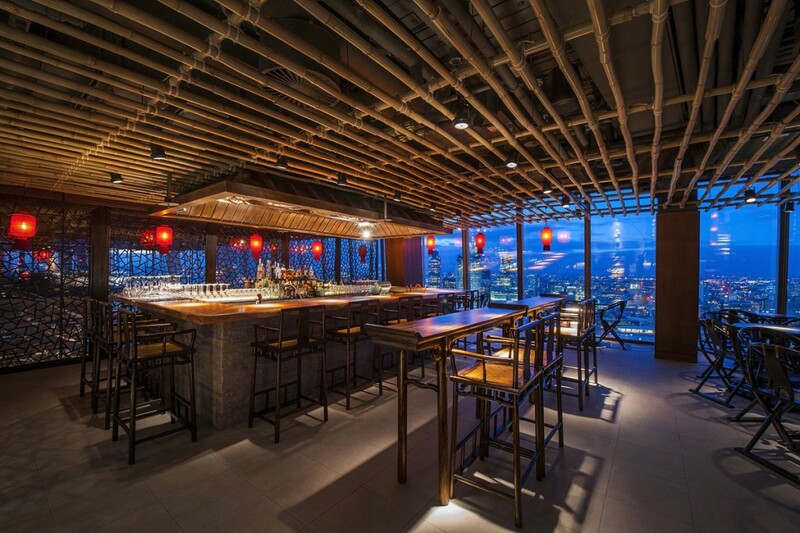 The restaurant feels striking but not overbearing. 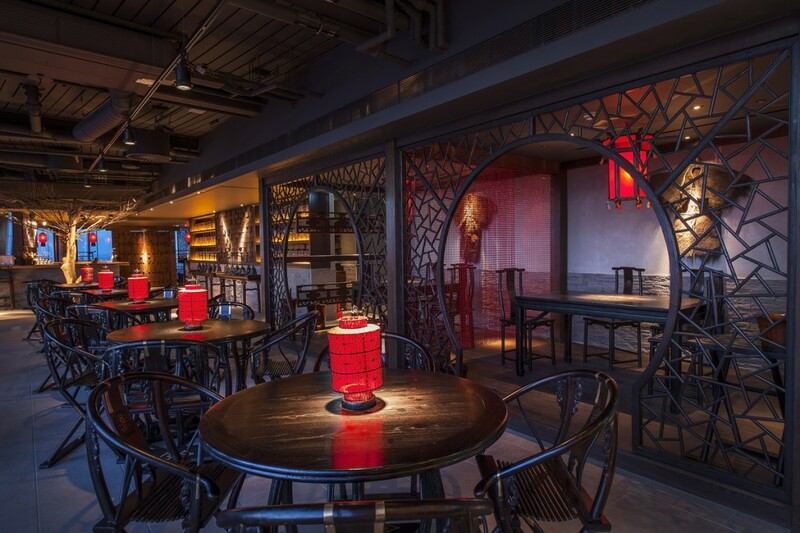 A combination of anti-glare fittings and attention to detail, and a highly controlled system, means the lighting design retains detail and theatre even at lunchtime. 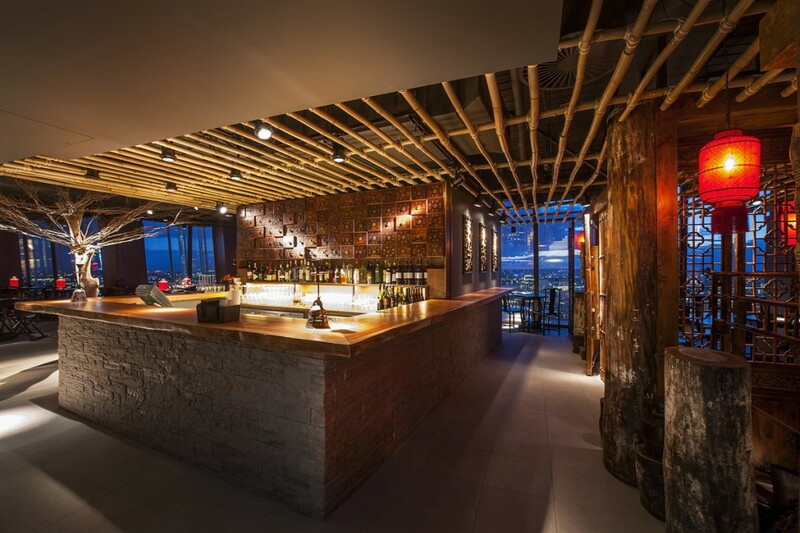 into lighting and David Yeo were winners at the Lighting Design Awards 2014 in the Restaurant and Hotel category and at the Restaurant and Bar Design Awards 2014 in the lighting scheme category.